Fagor Automation: all the news! Fagor Automation is a cooperative company founded in 1973 in Mondragón in the Basque Country and is part of the MCC Group, the largest cooperative in the world with over 85,000 people. The Automation division now employs 650 people and deals with the design and construction of machine tool systems. The product range includes CNCs, drives, motors, linear and rotary measuring systems, both absolute and incremental. Simplicity, performance and quality of products and services have always been the cornerstones of this company. The support network is also fundamental, thanks to the over 50 branches of Fagor Automation in the world, which provides after-sale service both in the countries where the machines are manufactured and in the destination countries, at the end users’ site. In Italy Fagor has been present since 1990 with the historical branch of Cassina de Pecchi (MI), dedicated to sales and services and with the R & D center of Ivrea. At MECSPE (Parma 28-30 marzo) the Spanish company known for the quality of its products, as well as for its dynamism will present other novelties. The two Fagor business lines will be represented at the fair. In measuring systems, a renewal of the range (the “series 2” encoders family) aimed to facilitate assembly and maintenance, with double-connector reading head and double socket for pressurization. 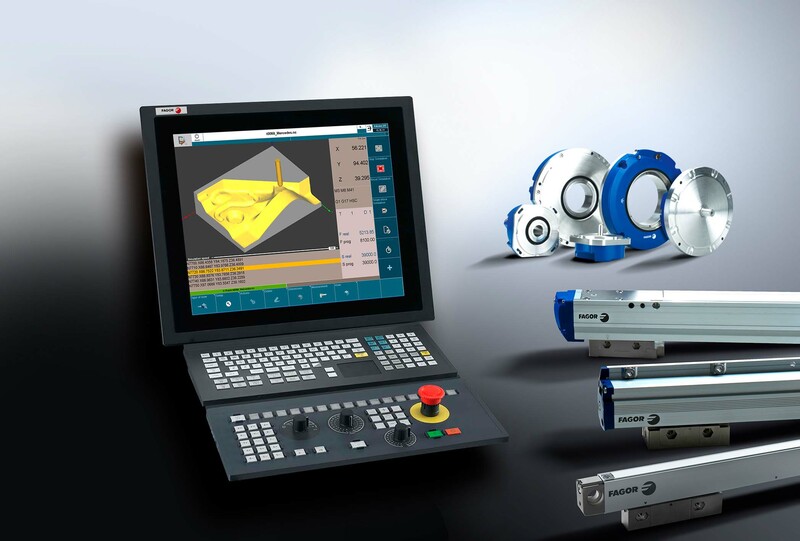 While the electronic division displays the CNC range for turning, laser and milling. The novelties presented during previous edition, that is the metal keys variant of the 8065 CNC, the 19 “and 21” multitouch panel PCs and the portable wireless terminal, now are joined by new CPUs on all models, together with the “basic” 8060 CNC variant, now also available with a 15 “multitouch monitor. The software equipment is also increasingly complete: new functions in the powerful ProGTL3 language (G8077, G8078, G8777 for 2D-3D processing) and additional macros of fixed supercycles. 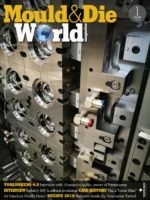 These performances, together with a selection of SW designed to increase productivity, especially in mold milling, are now offered in the Pack Mold: a guarantee for the customer who, buying the CNC with this option, will find all the most modern performance essential for the better mechanization of its machine, such as adaptive control DMC (Dynamic Machining Control), which adapts the feed to avoid spindle mechanical stress and can reduce processing time by up to 25%, or auto-calibration cycles for heads and tables, to achieve the maximum precision in the 5 axes, or HSSA (High Speed Surface Accuracy) for best milling speed, and much more. Finally, still progress in connectivity. If Industry 4.0 in Italy has so far been an investment facilitation opportunity, companies increasingly see the benefits of inter-communicating machines. Today, “Fagor Smart Factory”, represents a monitoring solution that, apart the many connection protocols that Fagor already had, and relying on the OPC-UA standard, provides a turnkey package for remote control.